Steadfast will look to further develop its presence in Asia over the coming year. Robert Kelly, managing director and CEO of the Australia-based network, said that the business will look to further strengthen its ties with the region by continuing to develop its presence in Singapore. “Singapore is our key because we have operations up there now,” Kelly told Insurance Business. “The implementation of our cluster is well underway, and indeed we’ve got 15 or 16 brokers signed up to join our cluster. 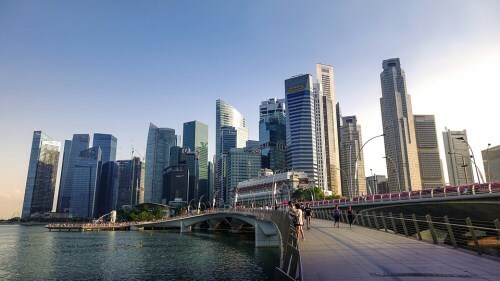 Kelly told investors that the Singapore-based cluster group will be led by chief operating officer of the firm, Samantha Holman, and the firm will look for acquisitions in the region. “We will continue to look at Asia acquisitions,” Kelly said. Kelly confirmed that the business will look to roll-out a rebranded underwriting agency in the region too. Underwriting Agencies of Asia (UAA), which is branded as Underwriting Agencies of Australia in its native country, will launch “very shortly” in the region, Kelly said. UAA will be Steadfast’s debut in the underwriting agency space in Asia and will use the backing of QBE capacity, similar to the business in Australia, Kelly confirmed. Last week, the broker network announced a solid set of results for its business. The company saw GWP placed by its brokers rise 13% to AU$2.5 billion over the first half of 2017. Underlying net profit after tax also rose 13%, to AU$30 million, while statutory net profit after tax dipped 4% due to lower non-trading gains.